I like to teach to the student's musical taste as soon as basics are covered. Try to make lessons as song based as possible. I have lots of trans... Read more. 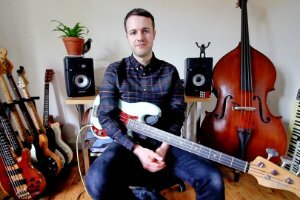 Beginner to advanced, I will help you take your Bass playing to the next level! 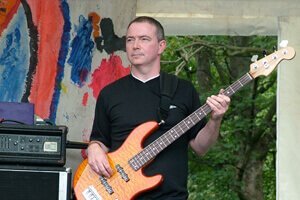 Pete's teaching style is relaxed and positive with a focus on the enjoyment of making music. With an understanding that everybody learns differen... Read more. I believe music lessons should be fun, inspiring and challenging! As a pupil I most enjoyed a lesson that was tailored to me, in w... Read more. I try to make my teaching as well-balanced and holistic as possible, with the aim of getting my students to fulfill their musical potential. I wi... Read more. I always tailor my lesson plans around the individual, as I understand that everyone has something different they want to get out of the guitar.... Read more. My teaching style is friendly and engaging but most importantly, it is always geared towards the students needs. I believe it is incredibly impor... Read more. My aim is to teach students to teach themselves because that is the key to successful practice between lessons. My teaching style is flexible acc... Read more. My style is generally quite informal, but I am always punctual and thorough! The basics will always be covered, but methods and content are flexi... Read more. Alternatively, allow us to do the searching for you. 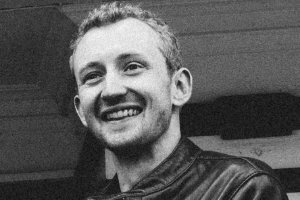 Your new recommended tutor will be in touch with you within 48 hours. You have come to the right place for the highest quality instrumental lessons. All of our tutors have undergone a thorough verification process, which includes an enhanced background check, completed application form and character references. You also have additional peace of mind with our Risk Free Guarantee, which ensures that you find the right tutor for you.